Modern tools increase employee productivity and improve accuracy. I’ve heard some co-workers talk about how they kept track of everything on long ledger paper, inventory, dealer accounts, payroll, payables, and sales. This method used to meet needs, but as a business grows it shows its limitations. 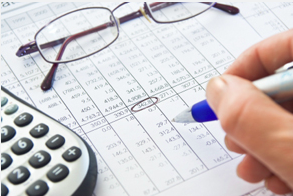 Manual bookkeeping methods could lead to poor financial records. Your company might be turned down for financing or certain lines of credit due to poor bookkeeping practices.